A string of winless results has not helped Manchester United in their quest to recover from earlier failures this season. The draw against Arsenal means they are still at the 7th place, way behind the top 4. Manchester United and Arsenal played out a gripping draw as José Mourinho’s side twice responded to freakish goals and secured a share of the spoils at Old Trafford. Jesse Lingard secured a 2-2 draw just 75 seconds after a Marcos Rojo own goal put Arsenal back into the lead. It was frantic and at times a feisty, encounter, which saw Unai Emery’s Arsenal rack up a 20th unbeaten game in all competitions. Another winless league game leaves United off the pace in the top-four hunt. Jose Mourinho praises a “performance of big soul” after Manchester United’s 2-2 draw with Arsenal, but is left frustrated by mistakes made by his side. The manager had gone into the game under pressure following their tame 2-2 draw at Southampton and the opening up of an eight-point gap with Arsenal for the final Champions League place. It is now four league games without a win for United, but Mourinho was defiant when he was asked about that record on Tuesday night. 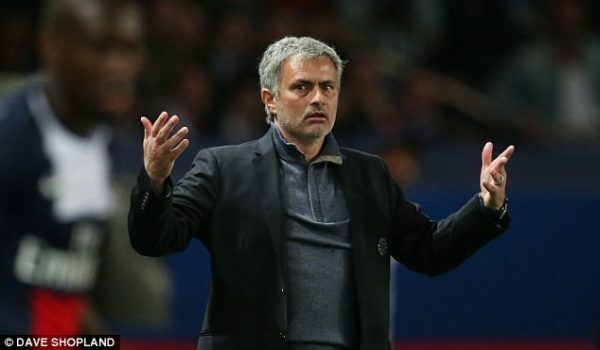 Mourinho praised the “soul” of his side but hinted his players lack the requisite quality. “The boys left their soul, they left what they have. When sometimes people speak about the quality …” he said, before trailing off. Mourinho admits that his players are doing themselves few favours, with David de Gea having fumbled Mustafi’s effort over the line before Rojo deflected past his own goalkeeper. “We scored four goals and we drew 2-2. But we score four goals and even in matches like today where we play well, we always shoot ourselves,” said Mourinho. 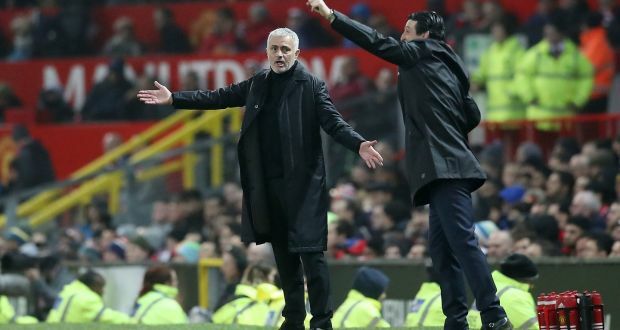 It was, all in all, a frustrating evening for the Red Devils boss as he once again saw his inconsistent side fail to emerge victorious on home soil. The defence of Manchester United is their biggest problem this season as their Center Backs are not showing the quality of teams like Manchester City and Liverpool. Mourinho indicated this problem after the summer transfers and the team looks a bit distorted at the moment.